It's a dog-eat-dog world out there in the corporate jobs across the world. People toiling away in their cubicles, looking to make a way for themselves, looking to get that big promotion and land that cushy job and corner office. That's just what you're struggling to do in Corporate Ladder. Will you be the one that helps everyone else out and gets higher by teamwork, or will you just backstab everyone you can and climb the rungs that way? You want his old job. 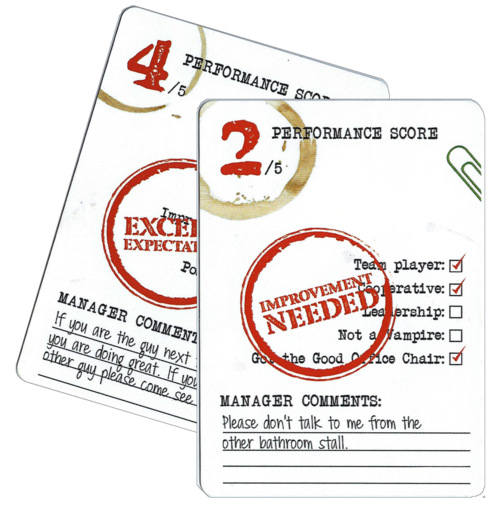 Submit your past PERFORMANCE REVIEWS to move up the ladder. Pull fellow Employees aside and use your NEGOTIATING skills to convince them to submit Reviews that are in your best interests. You can lie, but so can they! 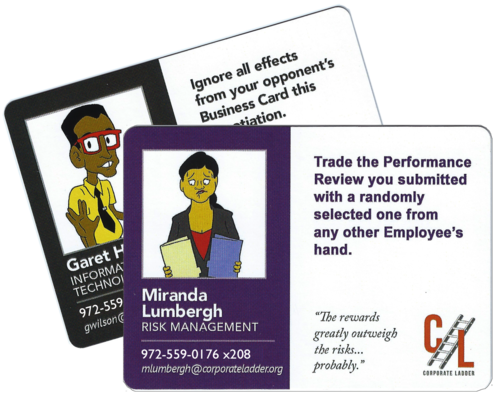 Sneakily call in favors from your stack of BUSINESS CARDS to gain an unfair advantage. 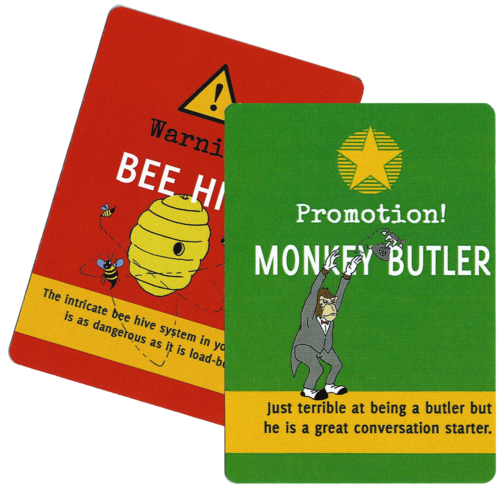 Honest, successful Employees receive PROMOTIONS and the luxuries that come with making more money.